The objective of the Scheme is to produce both income and capital growth, by investing mainly in a diversified portfolio of UK quoted securities. Investment will primarily be in the United Kingdom of Great Britain and Northern Ireland. Graham Ashby, Manager of the Santander UK Growth, N&P UK Growth Funds and Santander Premium UK Equity Fund, has 24 years’ experience of equity fund investments and held several fund manager roles over this time. 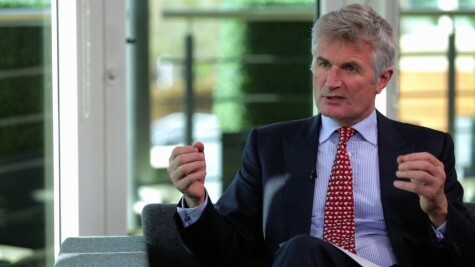 Prior to joining Santander Asset Management UK, Graham was Head of UK Equities at Ignis Asset Management. He is a bottom-up stock picker who invests across the market capitalisation spectrum, principally in companies with a proven track record of creating value for shareholders. He adopts a disciplined approach to portfolio construction with the aim of taking an appropriate level of risk to achieve outperformance targets. Prior to his role at Ignis, Graham held senior equity positions at LV=Asset Management and Credit Suisse Asset Management.